Are you searching the web for Polaroid or Fuji Transfer Workshops? You have found them! My workshops are held in the beautiful western North Carolina mountains in historic Asheville. 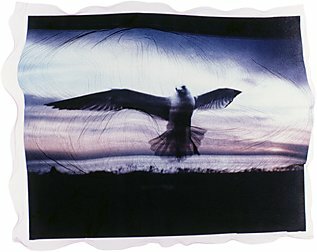 You will have the opportunity to learn the techniques of Polaroid/Fuji Image and Emulsion Transfers. The workshops will encourage you to explore and expand your own creativity. Small groups assure that you will receive individual attention while learning. I am a firm believer in the hands-on learning approach. These techniques are fun to do and easy to learn with help. Serious photographers, artists, and hobbyists will all enjoy learning these processes. I have been teaching the Polaroid techniques since 1998 at various locations in the southeast, including John C. Campbell Folk School in Brasstown, NC; Appalachian Center for Crafts in Tennessee; Creative Spark Center for the Arts in Mt. Pleasant, SC. Now that Polaroid has stopped producing film, I am offering workshops using Polaroid film as long as participants can find film to bring with them or using Fuji FP-100C film which participants must bring. I am now offering 1-2 day workshops in Asheville for up to 2 students. Click here for currently offered workshops or contact me to arrange a time of your own. Please visit my gallery - which will be expanding in the near future. Polaroid® is a trademark of the Polaroid Corp.
All images ©2003 Mary Jo Brezny.